The Polaroid XS1-100 is one of the best (Hi-Definition) Action cameras in the market and lives up to Polaroid’s prestigious reputation. Polaroid is not a new name in field of photography and it has been considered as the one of the most prestigious brands out there. Their Philosophy for long has been to make photography easy and fun. With the XS-100, Polaroid takes action video capturing to a new level. 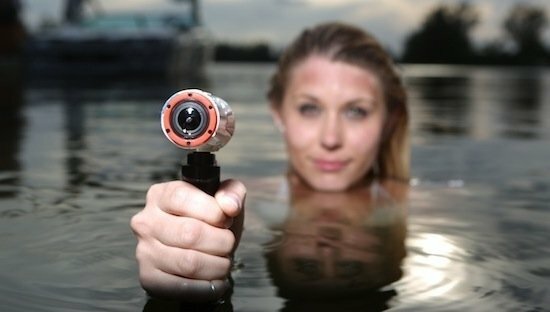 With the Hi-definition camera you can capture exciting moments like skiing, surfing, jumping, hiking and even swimming with utmost versatility and stability. The device is very durable and waterproof up to 30 meters and can take a bump or two without budging at all. The device runs on a 1200MAH built in Battery that gives a back-up of 2.5 hours and costs a modest sum of $119(with 1 year of manufacture’s warranty) on Amazon. The XS-100 features a streamlined, unobtrusive bullet shaped design. The design is ideal for discreet mounting .It is extremely light at 136g, which makes it very easy to carry around. Only a single button controls the power and photo modes while a recording switch with tactile feedback starts and stop recording. On the rear side of the camera, a mini USB, HDMI and Micro SD port are concealed by a lockable cover. Polaroid ships the camera with the full mount kit set. 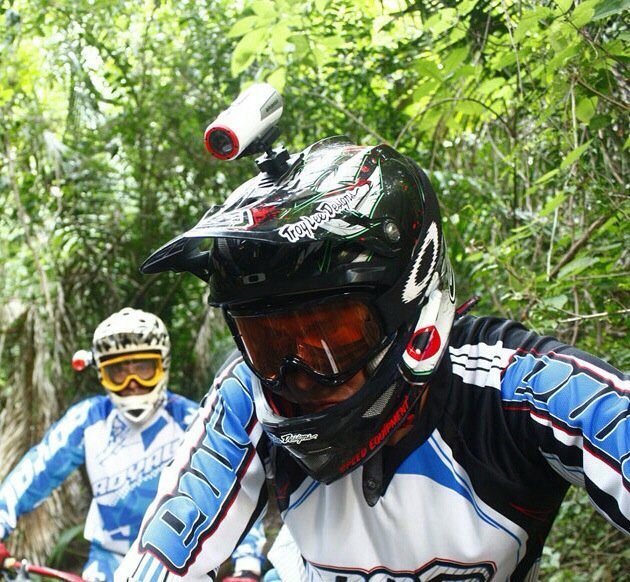 The mounts are very versatile, the best of the lot being the shock proof exterior mount along with the helmet mount. Both of these mounts are extremely rigid and sturdy and helps capture with great stability. The Camera comes with a professional 1/2.5″ CMOS image sensor with a F2.8 fixed focus ultra sharp glass lens. 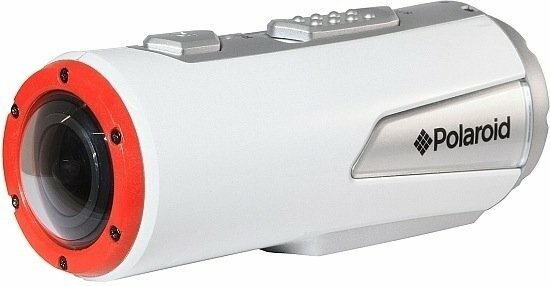 The lens can record in high definition only and can also perfectly operate in low light areas, featuring a light sensitivity of 1.4v/lux-sec. The XS-100 also features a G-Sensor on board for Auto Rotation. The camera can also take still photos at 16 M, 5M, 3M and also in VGA quality. One of the best features on the device is the “Dual File Recording”. With every Video that is recorded in HD, a similar and smaller file is created for easier and efficient uploading. Moreover, the Camera can capture beautiful stills at angles as absurd as 170 degrees. The stills can be captures in burst mode or a Time Lapse mode with adjustable frame rates. The 720p recording mode on the device allows slow or fast motion recording which is seamless and brilliant. The camera comes with user configurable white balance, ISO and Scene modes with auto exposure control and records video in “H2.64 MPEG4”, while captures stills in PHOTO_JPEG format. Considering the modest price, the XS100 does a great job. The Crisp Full HD recording is seamless and does not lag at all. The camera also automatically adjusts the image orientation thanks to the gyro sensor on board. We found the camera to suffer a bit in low light conditions but it was still satisfactory as compared to other products of the same category. The camera is marketed for its robust and rigged built and we would give it full marks on that. The Polaroid Xs-100 might not challenge GOPro Hero 3’s throne but it is still one of the best devices on the market.